Many have said Colleton River Plantation just may occupy the finest piece of land in the Lowcountry of South Carolina. The 2.5 mile entrance into Colleton River Plantation winds through a 1,200-acre South Carolina Nature Preserve that will never be developed and buffers this private community from the world outside. 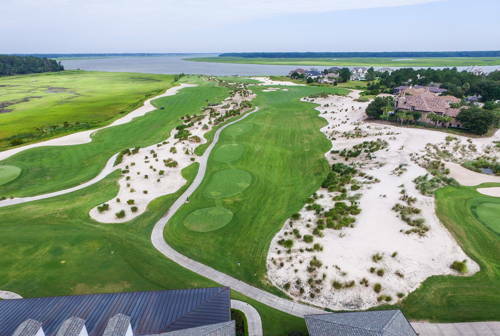 Colleton River Plantation offers the lowest density of any Hilton Head and Bluffton community and its 694 home sites on 1,500 acres are serenely surrounded on three sides by water and enjoy seven and a half miles of scenic tideland shoreline. 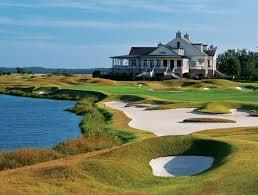 Colleton will also be the home of the 2015 U.S. Junior Amateur tournament in July, an honor not bestowed on the Lowcountry since 1979. The quality of the courses is matched only by their beauty, which is why Academy Award-winner Robert Redford chose Colleton River to film many of the striking golf scenes in his movie, The Legend of Bagger Vance. With two championship courses that have been ranked in GOLF Magazine’s “Top 100 Greatest Courses in the U.S.” list, the golfing experience at Colleton River is unparalleled. Not only are the courses challenging, playable and ever-changing, but with the award-winning signature 18-hole golf courses by world-renowned golf course designers Jack Nicklaus and Pete Dye, and even a Par 3 course designed by Bruce Borland, tee availability is also guaranteed to members at almost any time of year. Practice or warm up on our expansive driving ranges, putting greens, chipping greens and bunkers. Or if you want to take your performance to the next level, there’s also an on-site Golf Academy taught by certified CRGA Golf professionals, specifically trained to help members with every aspect of their games. Because there are 45 holes to enjoy each and every day, you’ll never play the same exact hole twice. Colleton features an incredible 6,000 square foot state-of-the-art health and fitness center and a top notch spa. If you require even more solitude and relaxation, the Nicklaus Clubhouse has Licensed Massage Therapists available by appointment, seven days a week. Members can choose from a variety of services including: Swedish Massage, Deep Tissue Massage, Pain Management, Neuromuscular, Assisted Stretching and Hand and Foot Exfoliation. The Stan Smith Tennis Center is a terrific facility, featuring a newly designed Tennis Pro Shop and five Har-Tru tennis courts. Members participate in inter-club and USTA leagues, and our junior tennis program is among the area’s best, with the Colleton River juniors making it to the state championships. The heated, junior Olympic-size pool features five lanes for swimming laps, as well as water aerobics and interval training classes. 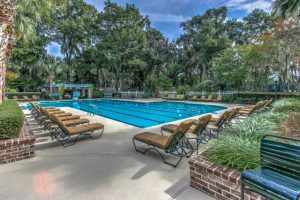 The Aquatic Center—which includes both the adult pool and a kiddie pool—is a particular favorite during the summer months, with family and friends reconnecting poolside to catch up on the latest news, while basking in the balmy southern sun. Colleton is unique as it boasts 2 stunning clubhouses for members to enjoy. Arguably one of the finest clubhouses in all of the southeastern United States, the Nicklaus Clubhouse’s 30,000 square feet contain an elegant fine-dining room, a casual bar, a golf shop, and a number of small breakout rooms ideal for private functions, meetings and card groups. There’s also large banquet room ideal for weddings, receptions or seminars. Enjoy a quiet respite in The Wine Room—a smaller, more intimate private dining room—while the men’s and ladies’ lounges are the perfect places to have a bite to eat or catch up with fellow members. Finally, at the end of yet another perfect day, watch your friends finish the final four holes of the Nicklaus Course from the regal clubhouse porch, and witness some of the most amazing sunsets overlooking Port Royal Sound and the Atlantic Ocean. The Dye Clubhouse is charmingly reminiscent of a southern plantation home and totally in keeping with the natural beauty of South Carolina’s Lowcountry. The two-story structure has 18-foot-wide porches accessed through French doors, with large columns, brick arches and tabby stucco exteriors. Inside, there is a member’s bar and casual dining area, a large, more formal dining room and several smaller breakout rooms. The lower level houses the golf shop, locker rooms and the Club’s library, as well as a member-developed exhibit detailing the rich and proud history of the Colleton River Plantation area, which dates back to the 16th century. From its wraparound porches members can enjoy spectacular views of the Chechessee River and Port Royal Sound, the marshlands, ancient live oaks, seabirds and seven of the most jaw-droppingly beautiful holes in all of the southern United States. Truly a wonderful venue for a casual dining experience or relaxing with a cocktail on the porch, the Dye Clubhouse is a little slice of heaven—minus the slice, of course.